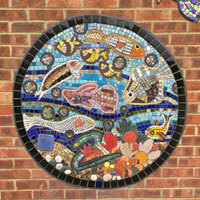 We were asked to make another seven mosaic and ceramic portholes with the whole school, Year 1 to Year 6. 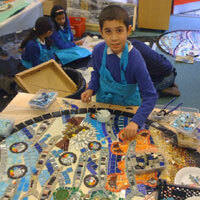 The younger children made clay tiles with textures which were fired and glazed and used as mosaic tiles. 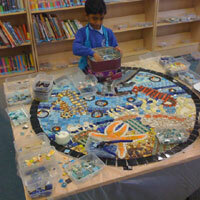 Pupils drew the sea creatures that were made into the seven designs and some sea birds. 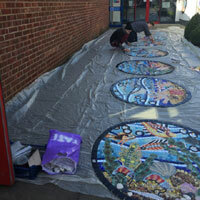 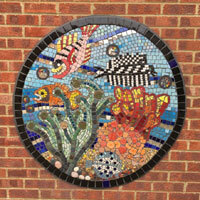 A fortnight of exciting mosaic workshops culminated in the bright and lively oceanic scenes which brighten up the walk to and from the school. 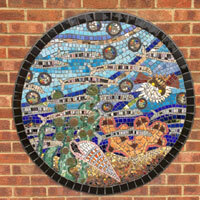 "The new portholes on the outside hall wall look so lovely when the sun shines on them, they cheer everyone up every morning." 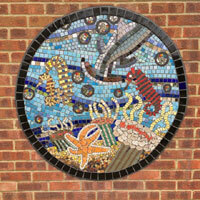 "I especially like the richness of the variety of tiles and textures, colours and size of the tiles. 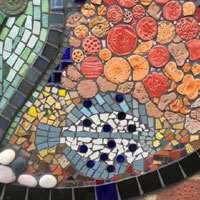 There is a real flow of water while stories unfold in the imagery. 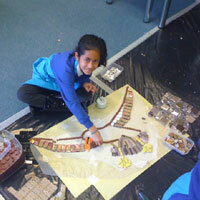 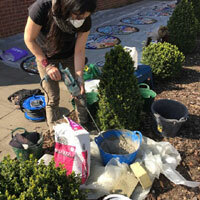 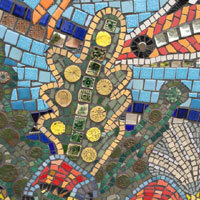 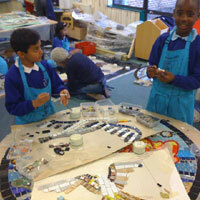 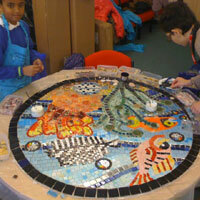 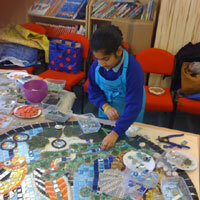 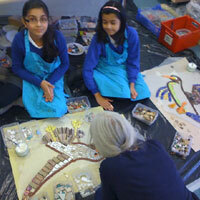 I am so pleased with these mosaics and the pupils and staff can be justifiably proud of their work!"